Today has been a techie day. First of all my friend Simon, who is like a vet for my computers, came over to give them a little health check and sort out some snags for me. One of those snags was the printer in my writing office not working – which turned out to be because I didn’t have the cable plugged into the computer. Then I had a meeting with Roger, who very handily works in the room opposite my out-of-home writing office, and is a wizard website designer and conceptualiser. That was exciting, because he’s going to help me sort out the massive mess I have created by having two separate blogs and a website that sits there with nothing happening on it – because it was created before you could have a blog on your website. If you wanted to change the content on it, you had to get your web designer to code all the new stuff in for you. That seems like another universe, don’t it? It was created, we realised, before iPhones existed. Gosh. So that will all be happening sometime soon, so watch this space, as they say, although in this case, I mean it literally. Simon did another thing for me, which is going to make my life so very much easier – and will enable me to use my own pictures more often on here, which is what I’ve wanted to do from the start. He showed me how to upload pics from my iPhone to my PC very simply. 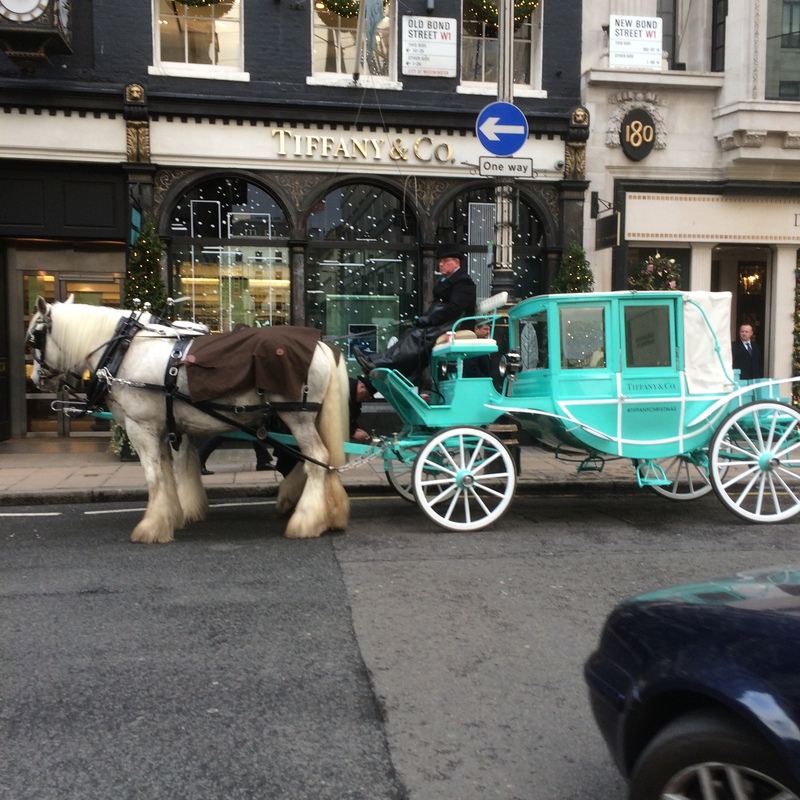 So for those of you who aren’t into Instagram, here is the visual story of Tuesday’s post (Day 63) my day wandering around London. Forget Christmas sweaters – buy a Christmas bra from Agent Provocateur instead. 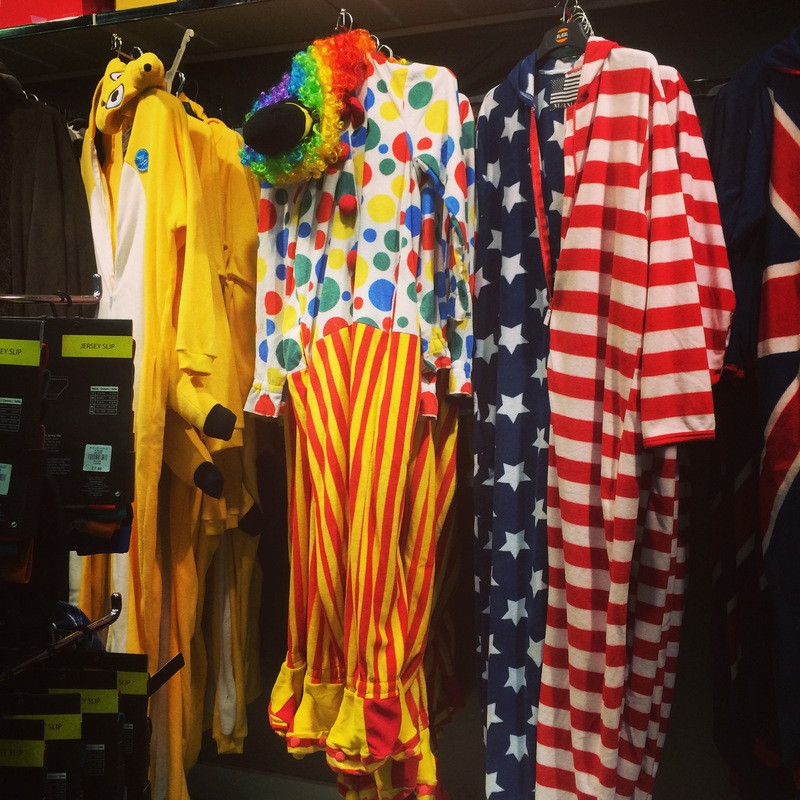 Truly terrifying clown onesies – for MEN – in Primark. I would die if I saw someone in one of these. I have coulrophobia (fear of clowns, shudder). Also, I would be horrified by their appalling taste and willingness to wear man-made fibres next to to their bare skin. Quel horreur. 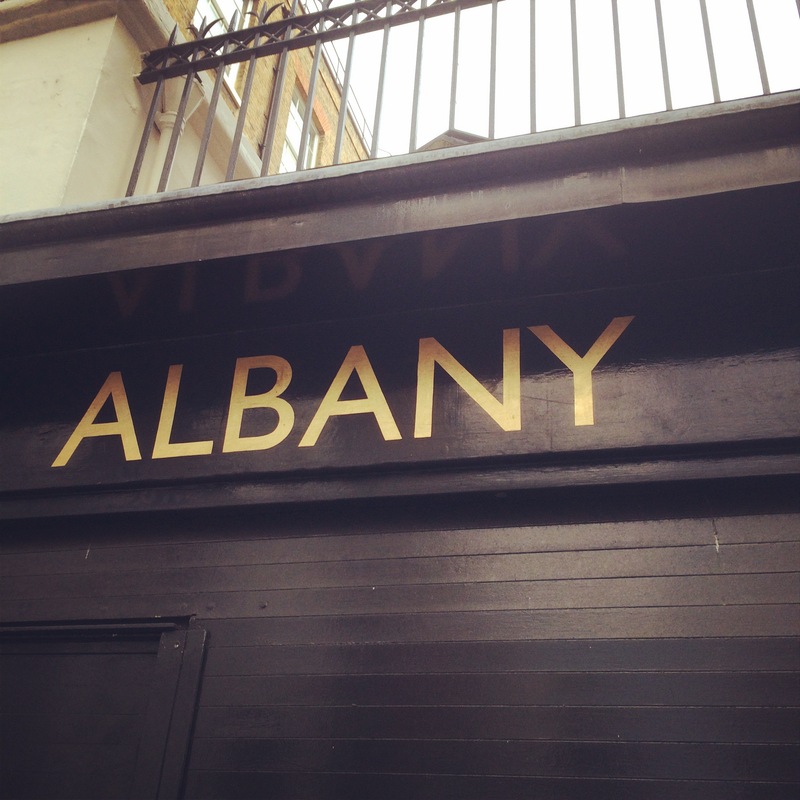 The mysterious world of Albany, just opposite Savile Row, where you don’t have a flat, you have a ‘set’. It kills me that I’ve never been inside. 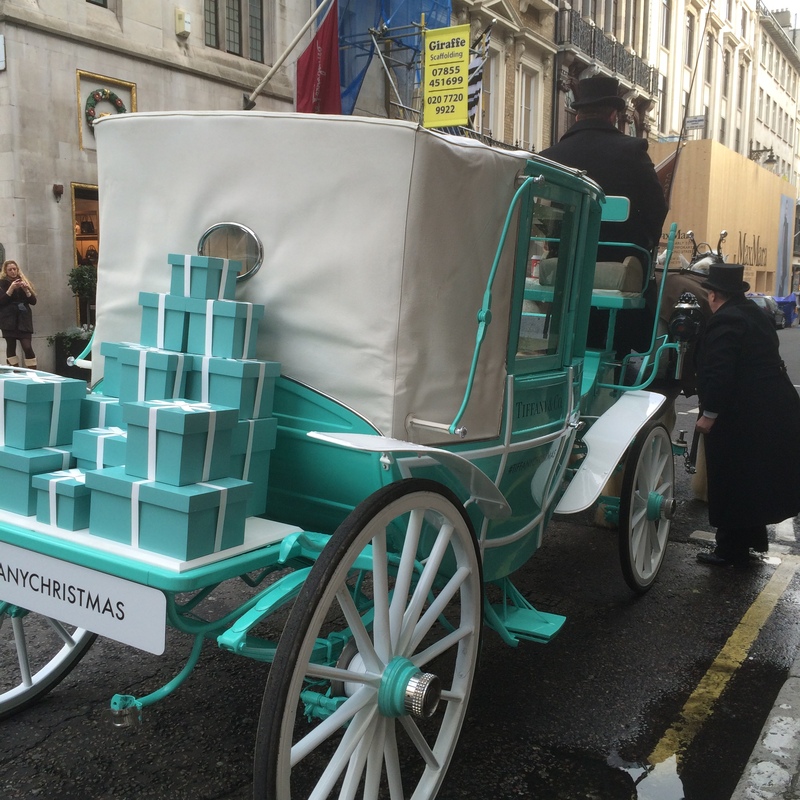 Christmas in the world of Tiffany & Co. Why stop at breakfast? 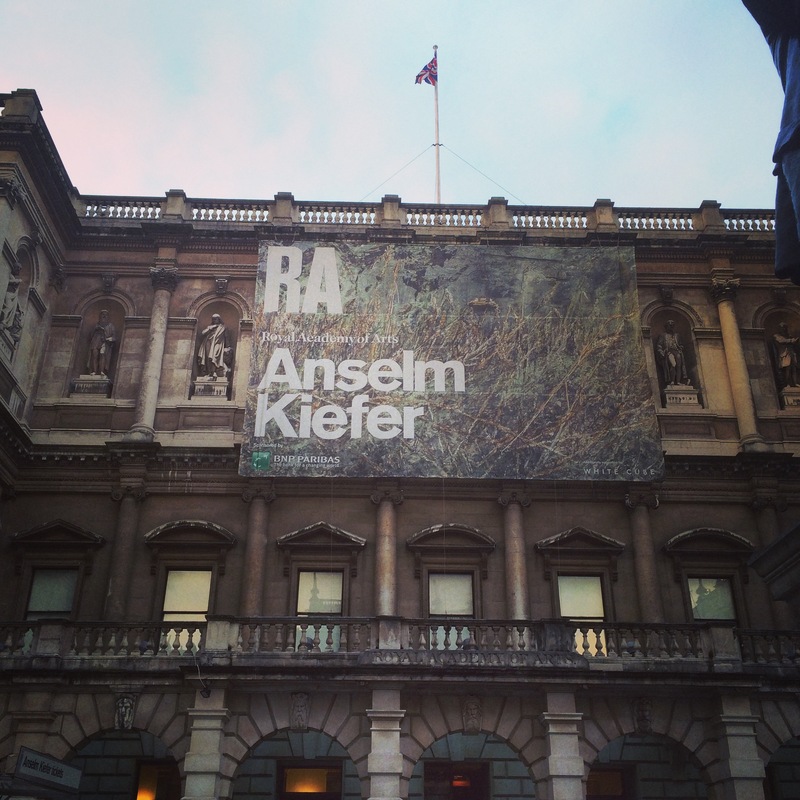 An amazing and thought provoking exhibition, but not exactly a barrel of laughs. 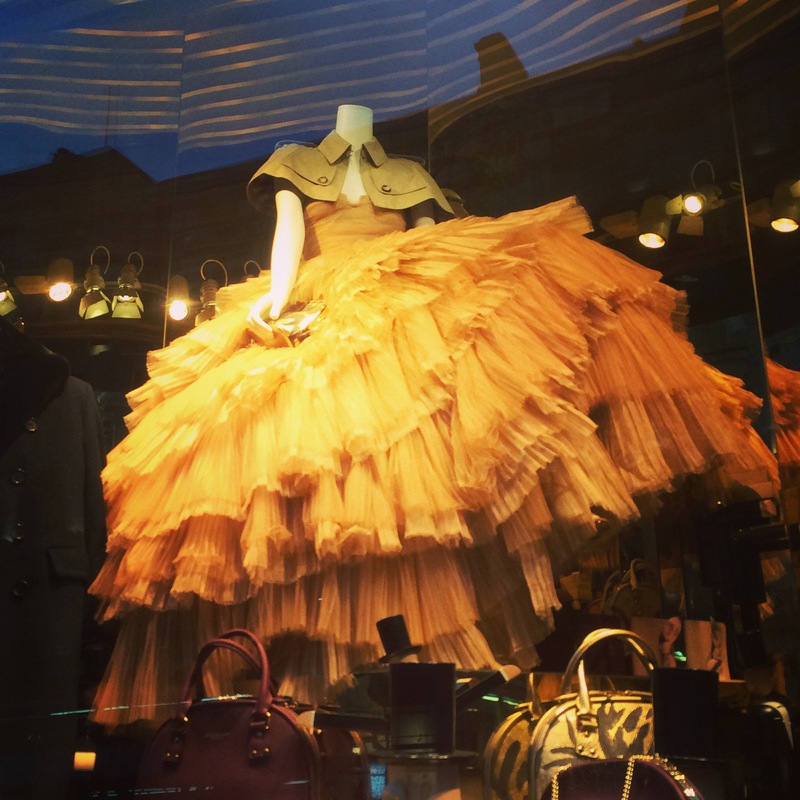 A gown in the window of Alexander McQueen. Note how the skirt melts into feathers at the hem. 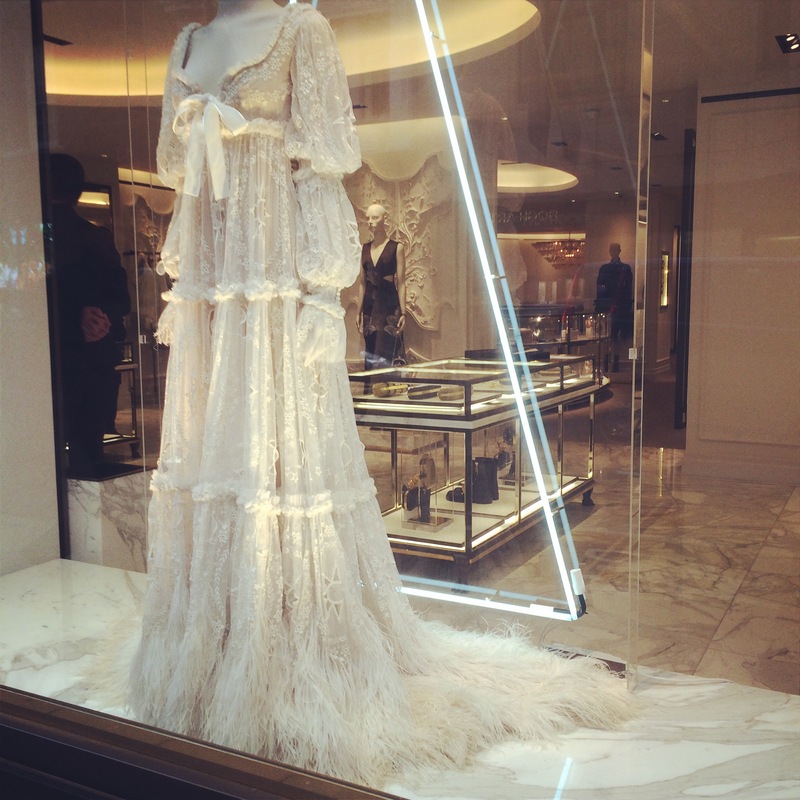 A gown at Burberry. Layers of raw tulle and a trench coat tippet. 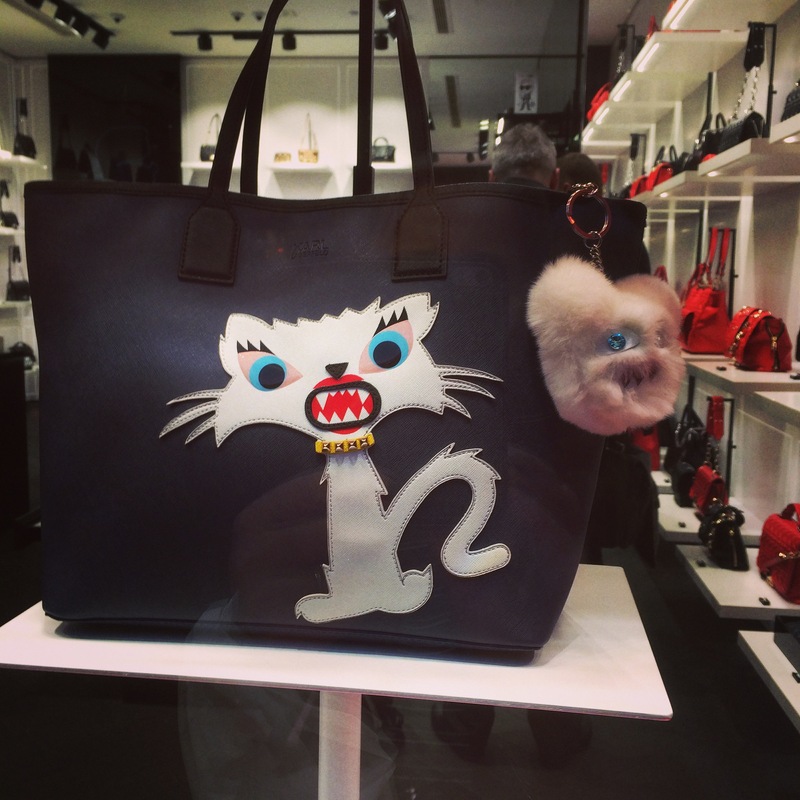 but they’re on line at £137 – that’s just the fun fur ‘charm’. 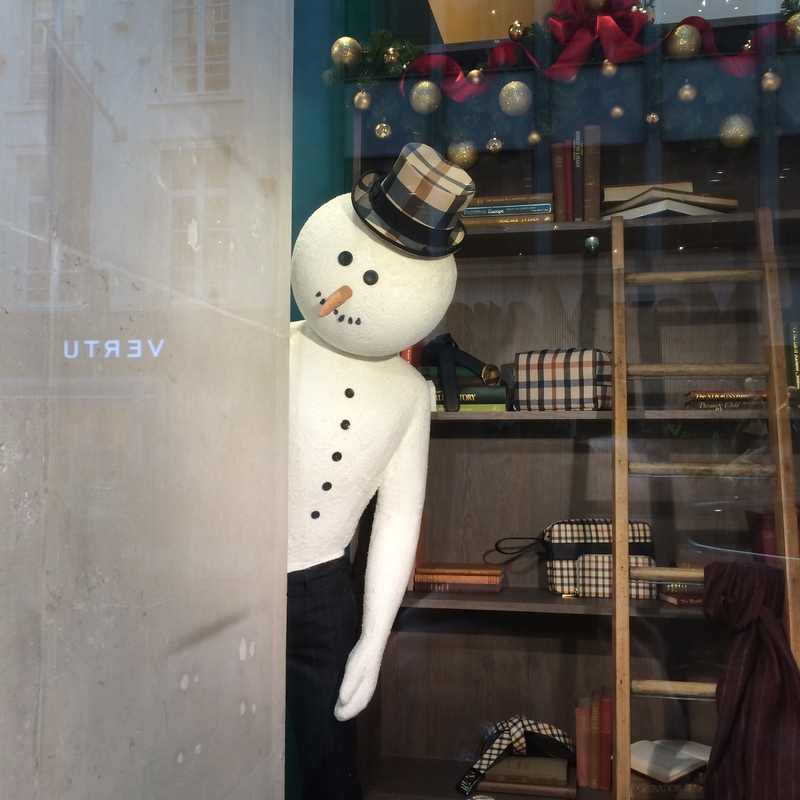 And the inquisitive chap at the top was in the window of the DAKS store on Bond Street. Fab pictures! I love how the McQueen gown is all Edwardian Temptress up the top and all Zsa Zsa Gabor at the bottom. And I want ALL those Tiffany boxes. Also I want a Simon, I only have a Bruce (yes really) who is pointless when it comes to IT so I spend half my day googling in order to function in the world of today (search e.g. “why don’t twitter chats make sense”).